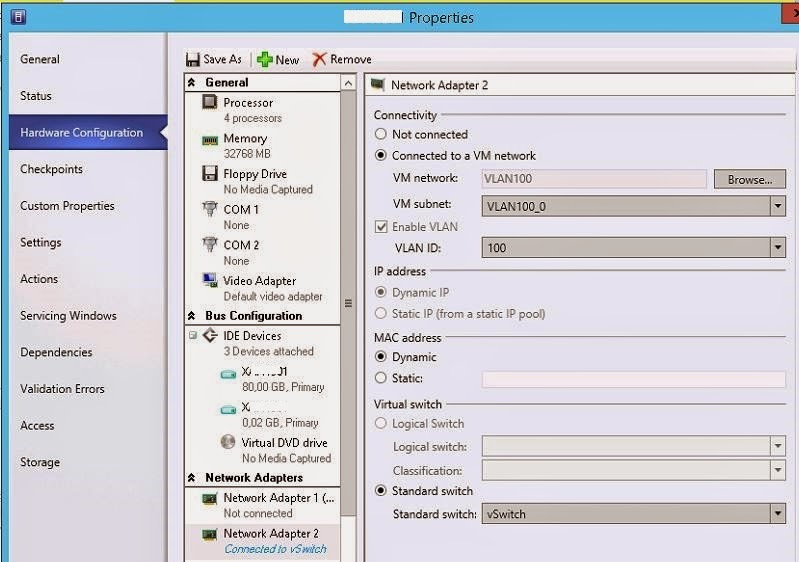 My previous posts were about deploying Citrix XenApp 7.5 with MCS on Hyper-V hosts. During the deployment with MCS I noticed something weird that made no sense to me. My golden image is deployed with two network cards, one of them a legacy one to allow Microsoft SCCM to deploy an image through a PXE boot. After the deployment is done I disconnected the legacy one for I don’t want to use a legacy card in a Citrix production environment. 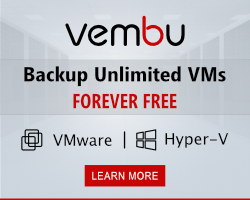 It’s not called legacy for nothing… is it? So the golden image had two network cards, one of them legacy and disconnected.. Lets deploy. 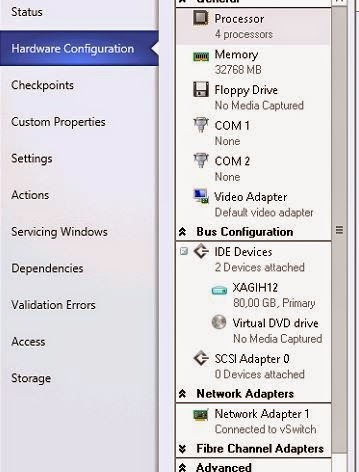 I showed you how to deploy a Citrix server with MCS but there is one screenshot you have to see again. The wizard saw both cards and I deselected one of them, the legacy one. Deployment goes fine but now watch what happens when you take a look at the machine properties after they are deployed… keep in mind what you just saw in the screenshot above. 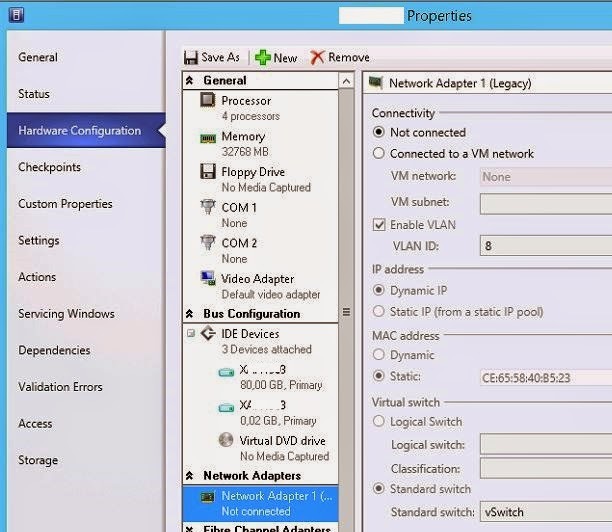 My network adapter is not there! 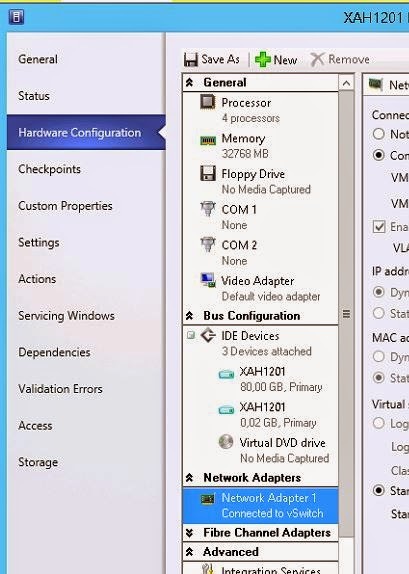 Citrix added the legacy adapter in “not connected” state but failed to add the other card. I stopped the machine and added the network card myself, no harm done. what I don’t understand is why it only adds one adapter and why not the one selected. I hoped it was something I did wrong but wanted to test what would happen is I set the golden image up with only the network adapter and not the legacy one. 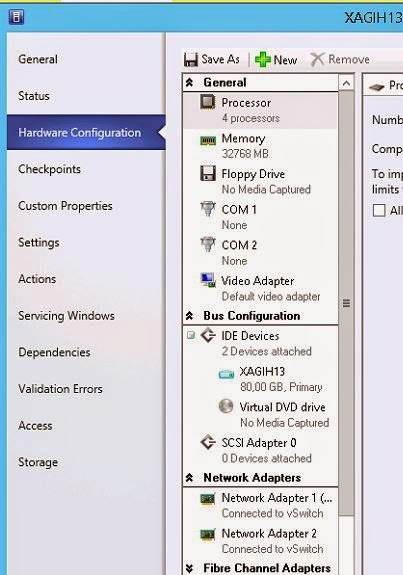 If I deploy with only one adapter that adapter is added nicely, so my last golden image on host 12 (I have four hosts with local storage and therefore each a golden image) has one network card and if I deploy from that one it instantly works. Of course if I had the time I could figure out if MCS somehow has a glitch that allows it to only add the first network card. 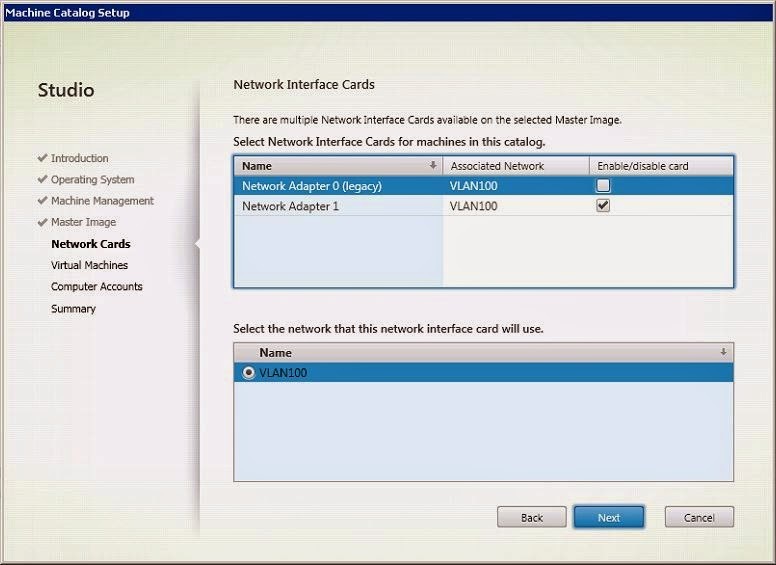 I could remove both cards and add them in a different order to see what happens, but I won’t… I know how to setup the golden image so that my customer can deploy the Citrix servers, it’s not my favorite method removing network cards after deployment but for now it works. Perhaps I’m all wrong about this and this is expected behavior. Please let me know and I’ll test again and change the blog. For now it looks like a bug to me that I have to create a workaround for.